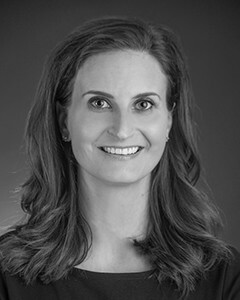 A top-producing broker, Katie Mischka Cibulsky is a trusted name in Chicago real estate, where she assists buyers and sellers in the many neighborhoods throughout the city and suburbs. Katie began selling real estate in 2004, quickly establishing herself among the area's top real estate professionals. Katie points to her repeat business and client referrals as a mark of her continued success in this industry. While maintaining a strong presence in Chicago, Katie has expanded her business to provide service to Park Ridge and many suburbs surrounding Chicago. She is an invaluable resource for the Chicagoland real estate market, and provides tailored advice to clients migrating from city to suburb and vice versa. Katie attended high school at Chicago's St. Ignatius College Prep, and holds a Bachelor's degree from the University of Wisconsin-Madison. "Katie was phenomenal though-out the entire home buying experience. Not only was she was always available to show properties, but she helped answer all of my questions as a first time home buyer." "We knew that Katie was the right person to represent us in the selling of our home. It was the first time we sold a home and she made it so easy. Her follow up, care and attention to details really made a difference. I wouldn't want to work with anyone else. I highly support her! She's the best!" "Working with Katie was a dream. She is extremely knowledgeable, professional, and an absolute delight to work with. She helped us sell our first home quickly and then, purchase a new home. The entire process was easy - Katie walked us through each step and gave clear expectations as we went along. Katie gave expert advice when asked, but also gave us the room and ability to make the best decisions for our family. In addition her help, she also shared referrals and helped us build an incredible team for our home purchase. Going forward, we will work exclusively with Katie for all of our real estate needs!" "Katie was wonderful to work with. Buying and selling a home can be an emotional process, and it was great to have someone who was able to offer good advice as well as be a good listener!" "As first-time homebuyers, Katie was a dream come true. She is a consummate professional: knowledgable, responsive, practical. She went above-and-beyond to help us find the right home. Katie cheerfully took us to see many, many listings and gave us her honest feedback on each. She was available at any time, day or night, to explain the process and calm our jitters. You could not ask for a more committed realtor. We liked her so much that we recommended her to my mom for her condo purchase!"